2015 Photo a day, set 1. Isn’t this exciting, a second post! One of the things I am trying to do this year (it is not a New Years Resolution) is to try to take a photograph every day of the year. The main aim is to try and improve my photography as it’s interesting but also, from trying this for 30 days last October, you end up looking at things differently, especially when you are less mobile. I found myself looking for beauty in the house and garden and appreciating the last autumn flowers more (for example) and that is inspiring in its’ own little way. So … once a week (or so), you will find a blog with the run down of my week’s photographs and why I’ve taken them. My camera is a FujiFilm X-Pro1 so not a point and click but also not a super duper fancy thing that the photographer (eldest stepson) owns. I sort of know how to play with the aperture (to let more or less light in and to change the depth of field), the shutter speed and if feeling adventurous, manually focus. Day -1 (31st December 2014). 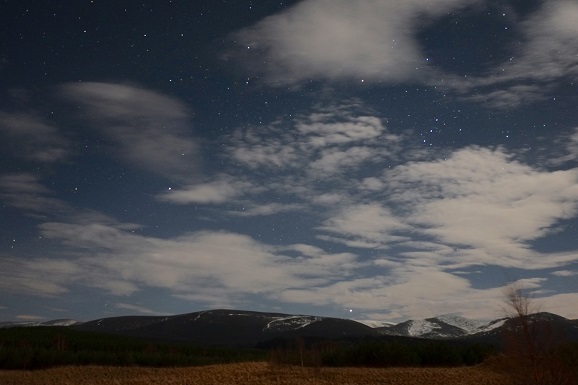 The family were up in Aviemore, the skies were patchy and the stars were outstanding. As in see the Milky Way outstanding. So …. I tried to take a picture using my not very impressive gorilla tripod (i just like the bendy bits for attaching to fence posts) and it turns out that the sensor on my camera is pretty good for this sort of stuff …. Day 1 – A Ponsettia. It was cold, wet and miserable and I didn’t want to go outside so the flower was pretty and inside. 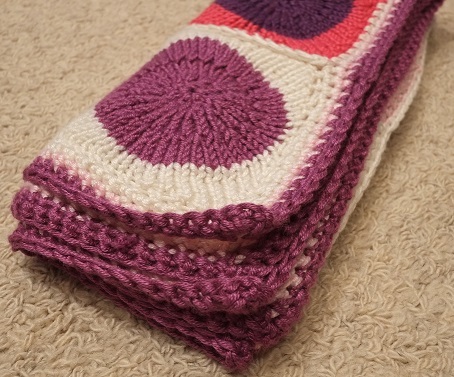 Day 2 – A baby blanket I’ve just finished. It was still dark outside (and cold and wet) so this is taken without flash but with the room lights on. Not the best photo but it will do as I don’t have a flash. Anyway, as soon as the photo was taken, it was wrapped and delivered. 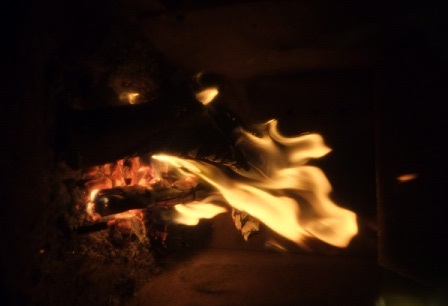 Day 3 – It’s January, cold and wet and miserable is going to be a recurring theme so the fire was cosy and warm and welcoming. 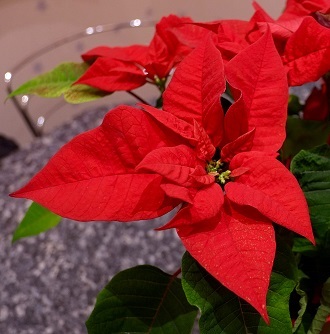 Day 4 – You know how there are all these trendy colour co-ordinated Christmas trees out there. Well ours is definitely not like that, each year a new ornament is added to the collection and it’s a clash of styles, ages and taste. 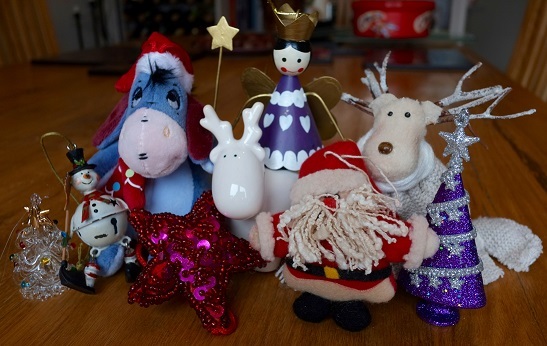 This is a selection of my favourites before they were packed away again for another year.